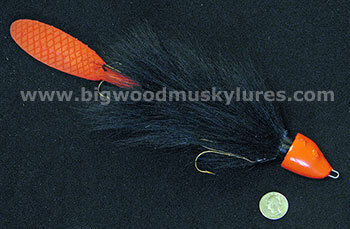 Description: Beaver Baits Mini's are in. Get them while you can! 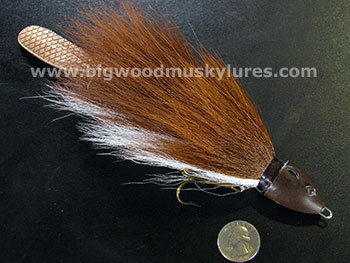 Same Beaver weights and blades work with all sizes. 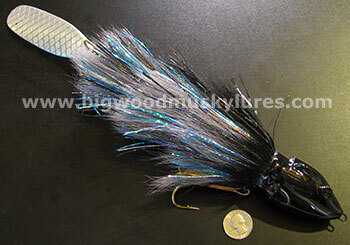 9" and 1 3/4oz. 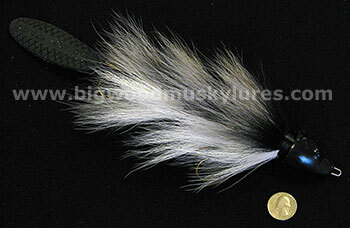 Description: Introducing the incredible Baby Beaver from Beaver's Baits! 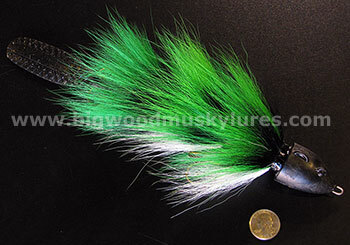 In an industry full of copy cats and imitations, the Baby Beaver is a truly innovative and unique bait that almost defies traditional category or classification. 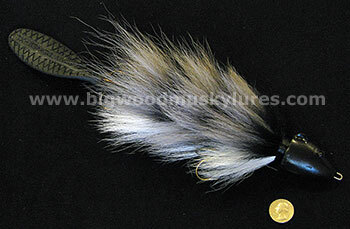 The Baby Beaver swims with a vertical and natural swimming action like that of a small beaver. 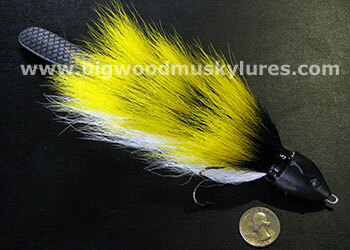 This Musky bait can be fished with a straight retrieve or can be worked by lifting your rod tip with a steady and subtle cadence to impart a little more action. 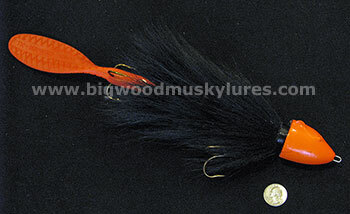 The Baby Beaver is meticulously hand tied in the U.S.A.. Jointed, high impact plastic covered with hand selected, premium deer hair makes this Musky lure come to life. 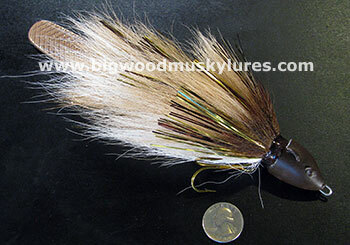 Photos and words simply fall short when decribing the uniqueness of this Musky lure and it's action in the water. 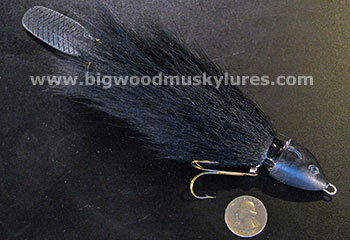 You MUST watch the video and you'll see why the Baby Beaver could be the hottest new bait to hit the Musky world in a very long time! Thow'em something they haven't seen a thousand times before. 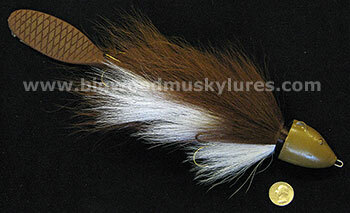 Throw'em the Baby Beaver and hang on! 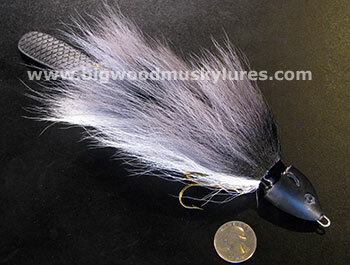 12" and about 3 1/2 oz. 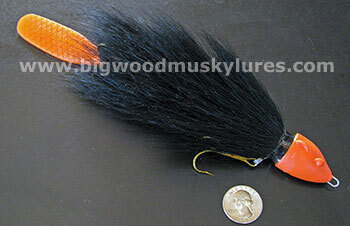 Description: The Baby Beaver XL from Beaver's Baits is 14 1/2 inches of pure unadulterated, undulating Beaver action! 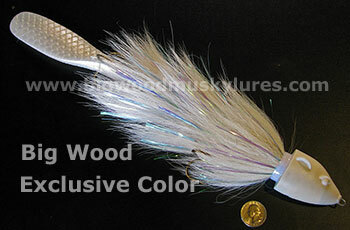 This Musky Bait wreaks of originality with an unparalleled, natural swimming action. 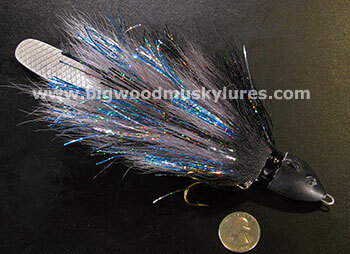 Possibly the hottest new musky lure of 2014, the Baby Beaver XL has a style and action all it's own. 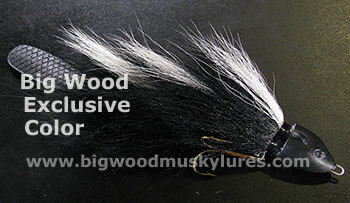 The Baby Beaver XL is meticulously hand tied in the U.S.A.. Jointed, high impact plastic covered with hand picked, premium deer hair makes this Musky lure come to life. 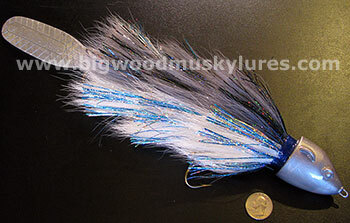 This Musky bait can be fished with a straight retrieve or can be worked by lifting your rod tip with a steady and subtle cadence to impart a little more action. Throw'em something original. 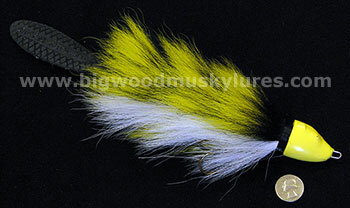 Throw'em the Baby Beaver XL and hang on! 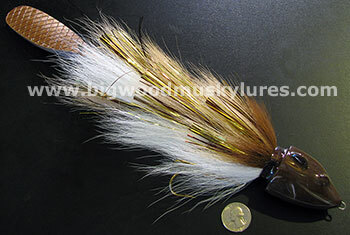 14 1/2" and about 6 oz. 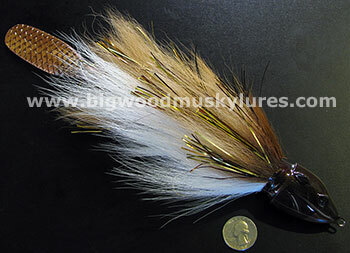 Description: At nearly 9 ounces, these Beavers Get Down! 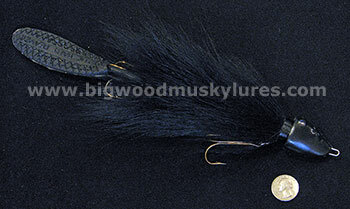 The all new Lake Edition Baby Beaver XL is the same awesome, fish catching Musky Lure you know and love, but with a much heavier head. 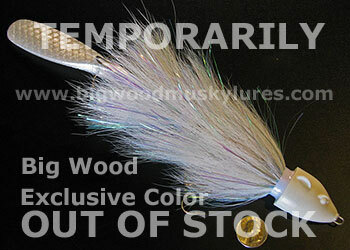 The Lake Edition's front heavy design allows you to go deep quickly and easily stay in the preferred depth range. 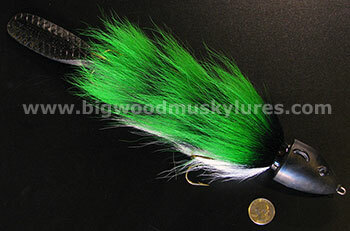 This Musky Bait wreaks of originality with an unparalleled, natural swimming action. 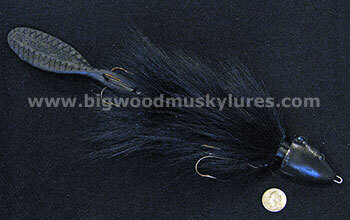 Possibly the hottest new musky lure of 2014, the Baby Beaver XL has a style and action all it's own. 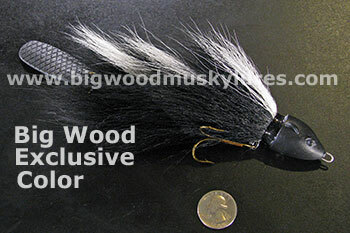 The Baby Beaver XL is meticulously hand tied in the U.S.A.. Jointed, high impact plastic covered with hand picked, premium deer hair makes this Musky lure come to life. 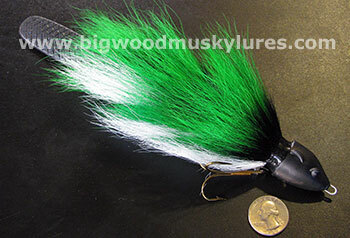 This Musky bait can be fished with a straight retrieve or can be worked by lifting your rod tip with a steady and subtle cadence to impart a little more action. Throw'em something original. 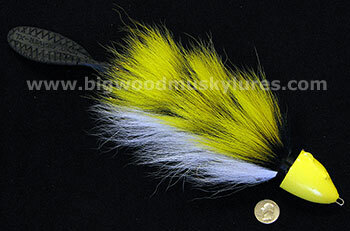 Throw'em the Baby Beaver XL and hang on! 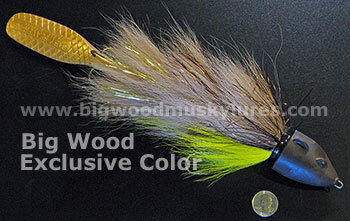 14 1/2" and about 8 3/4 oz..